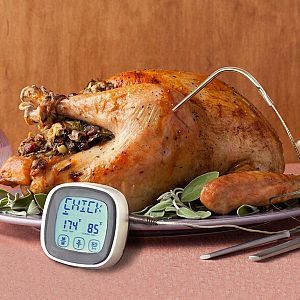 WIRELESS DIGITAL THERMOMETER can be used in the oven, grill, smoke, barbecue cooker. Eight kinds of barbecue meat to choose from. 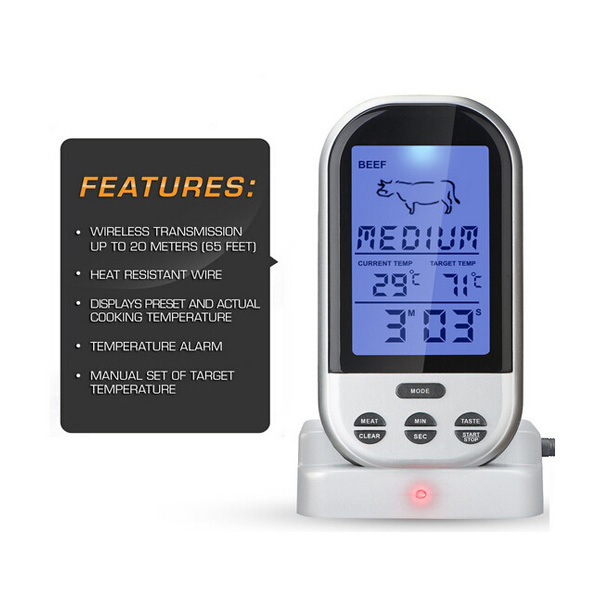 ​ When the meat reaches a preset temperature beeper lets you know that dinner is ready. 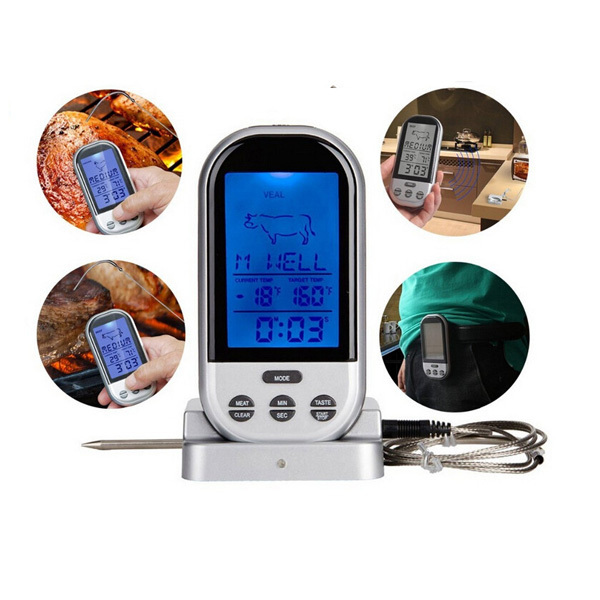 ​ BBQ THERMOMETER is easy to use, easy to clean. 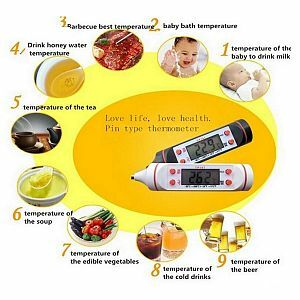 ​ This COOKING THERMOMETER exported overseas, widely acclaimed. 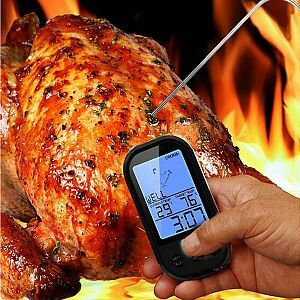 ​ Food and cooking temperature of the wireless transmission functions. 2.When will you arrange the production? In 12 hours since we get your payment. 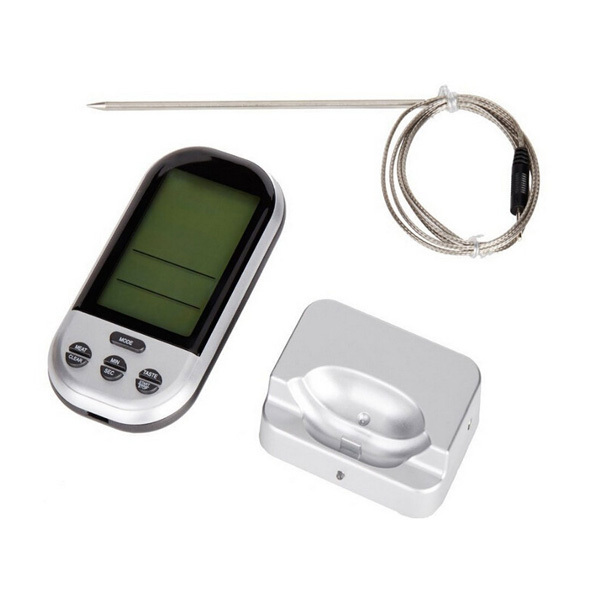 Thermocouple, PT100 sensor, termperture controller, infared thermometer and so on. 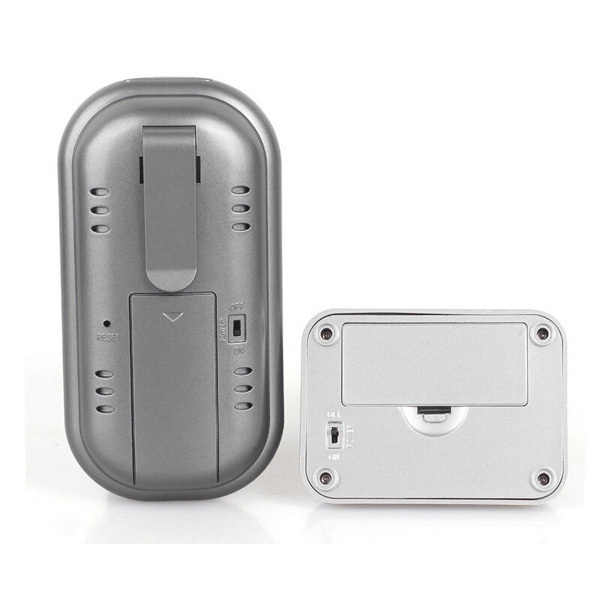 ISO9001, CE, ROHS, FDA, SGS and other certificates. 5.What kind of informations shall I give you regarding the shipping? Company name, Recipients, Correct Address, telephone, zip code. For most of our products, the warranty will be 12 months. 7.When will I get a solution for defective products? 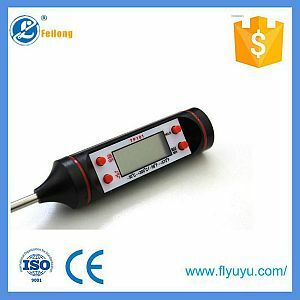 DHL, FEDEX, UPS, TNT, EMS, CHINA POST AIR, SEA FREIGHT and AIR FREIGHT! 9.What is your shipping time? For General Orders, the shipping time will be 5 workdays.